Andrew Dwyer is the author of Outback: Recipes and Stories from the Campfire and Oceans: Recipes and Stories from Australia's Coastline. 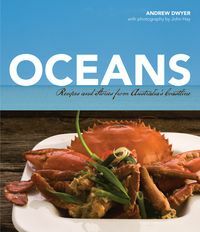 He runs outback expeditions and is an experienced bushman and chef who has a great love of the Australian outdoors. He has been involved with the tourism industry for more than twenty years and has presented cooking programs on The Great Outdoors and conducted cooking classes on outback cuisine in the United States. In 1992 he received the Victorian Tourism Award for Tour Operator of the Year, and in 1994 he was awarded the German Holiday Oscar for Best Adventure Tour Worldwide. In 2006 he won the Victorian Tourism Award for Most Significant Contribution by an Individual to the Tourism Industry.